Destination Knowlton >: What Can We Do With Lac Brome? Can anything be done to help our Lac Brome? A meeting will be held on Saturday, October 14th at 10;00 a.m. at the OddFellows Hall on Knowlton Road for anyone concerned with the state of Brome Lake. The meeting is being organized by Renaissance Lac Brome. 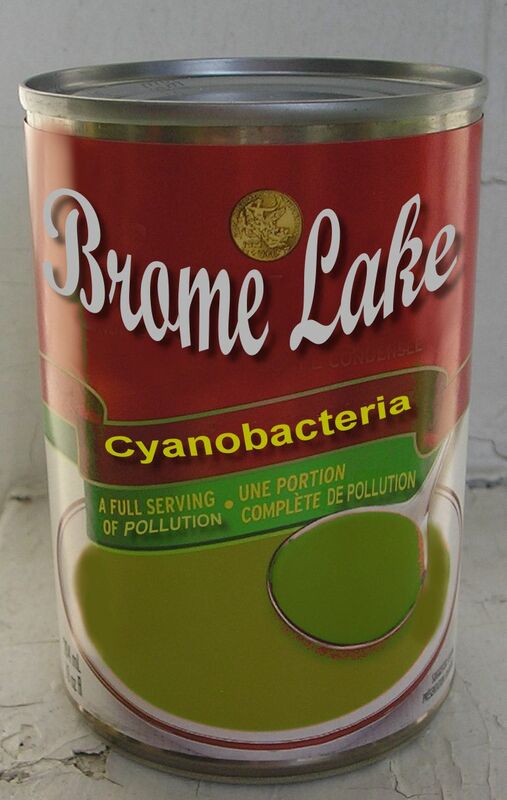 The closure of Brome lake due to cyanobacteria on August 17th of this year caused much concern amongst residents who were saddened to see the jewel of their region become actually dangerous, necessitating the closure of the beaches and the lake to public use. Environment officials sent urgent health notices to warn residents of the blue-green algae in the lake which could be toxic to people and animals. The meeting is being organized by a group known as "Renaissance Lac Brome" which is a group of citizens concerned with the recent deteriorating of the quality of Brome Lake. The group was founded by Jacques Duranceau,a doctor from Montreal who has been a part-time resident of the Lac Brome area for over 20 years. 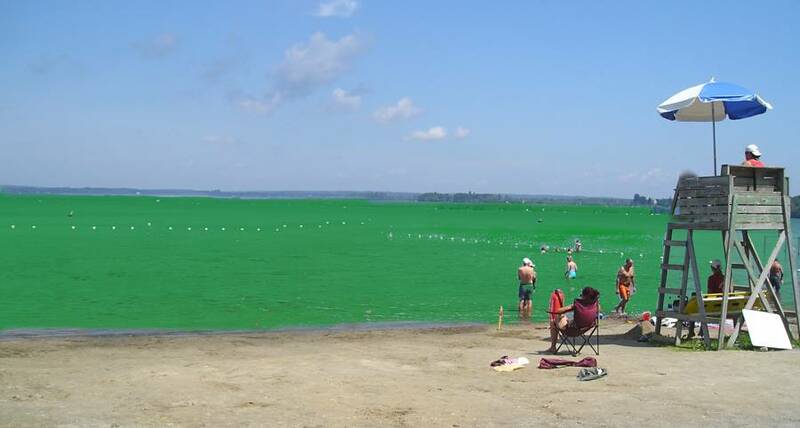 He started the group after the year 2000 when he noticed that a dark green color had invaded Lac Brome for an almost permanent duration from June to October. Over the years there have been more and more people becoming involved in the campaign to stop the degradation of water quality in the lake. With the closing of the lake again this year it again appears the right time to form a plan of action to keep the lake from becoming a bowl of unusable wastewater. The town of Brome Lake recently pledged to spend $2000 to share the costs of a study of the problem. Many residents consider such a pittance being spent on a mere study to be little more than political heel-dragging. 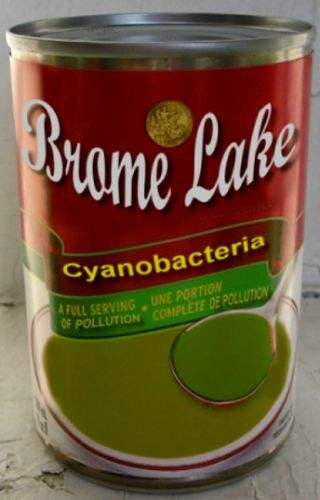 Studies from the Ministry of the Environment dating back to 2001 have outlined concrete steps to deal with the issue of Brome Lake water quality yet many of the points listed in the report seem to have been ignored. At the last council meeting when residents asked what was being done about the lake quality the elected council had to admit that they were powerless to implement many of the strategies that could make the biggest difference on the lake. Golf-courses often use fertilizers on their green spaces to ensure a thick growth of uniform grass and such products often end up washed into streams that drain into lakes. The local golf courses are under no obligation to restrict their usage of fertilizers or chemicals on their properties unlike private citizens who must follow bylaws regulating such applications. The Brome Lake Duck Farm which processes millions of birds per year regularly spreads a slurry of duck manure over the fields adjacent to the farm. Rains will have the tendency to wash runoff from these fields directly into streams that feed into Brome Lake. The contents of this, and other agricultural manure, can wreak havoc on a lake or pond if it gets into the body of water. The Duck Farm also releases large amounts of waste water that finds it's way into the lake. By councils own admission there is nothing they can do to restrict or enforce laws that may curb such discharges. Another large corporate entity that discharges waste that most likely finds it's way into Brome lake is Emballage Knowlton. While they may have treatment systems on-site to improve the effluent composition to perhaps acceptable "norms" the Ministry of the Environment may not have the capacity to understand the cumulative impact of years of such material being washed into the lake. With an ever increasing population base action must be taken among all private and public bodies. We can't rely on one single group to take care of the problem. Hopefully such meetings will lead to more than just finger-pointing and emotional arguements. At the same time, spending on money on study after study is paramount to doing nothing given the wealth of information available today on aquatic remediation. Related Pages on Solving Common Problems in Lakes: The Guide to Lake Protection and Management is a second edition of the Citizen's Guide to Lake Protection. This document contains updated and new material on the following topics: chemistry of lakes, watershed information, exotic species, altering runoff and lake use practices, development of a lake management plan, and nonstructural best management practices.